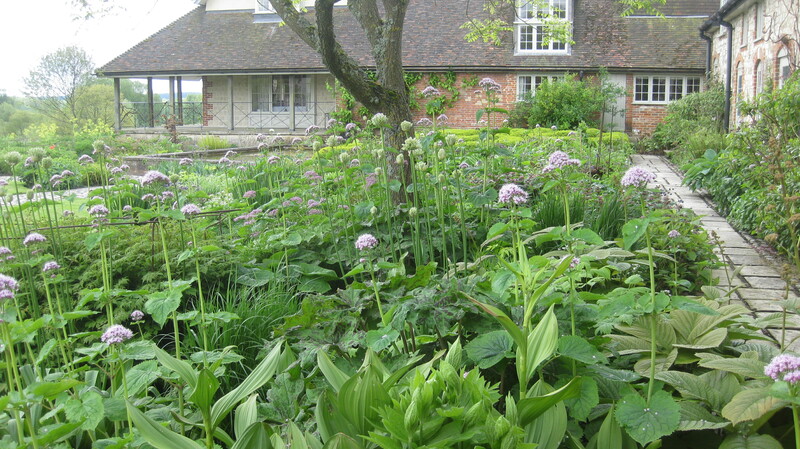 I’ve just been to one of Marina Christopher‘s Plantsman Days at Bury Court near Farnham. These happen on the last Wednesday of every month and there are so many reasons why they are worth going to. First Marina Christopher herself. Who is smiley, approachable and incredibly knowledgeable. 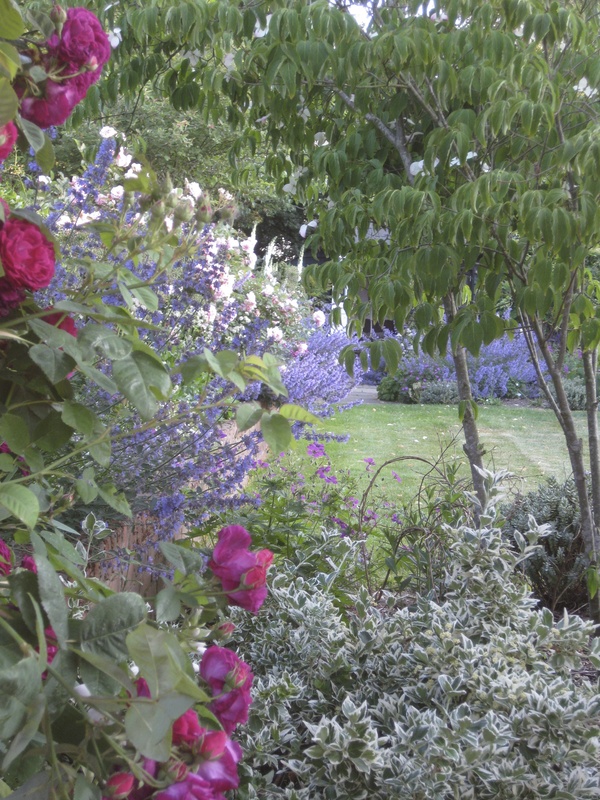 And yesterday, in her half an hour talk – which was very low key and down to earth – she changed the way I look at colour in the garden. Second, Bury Court. 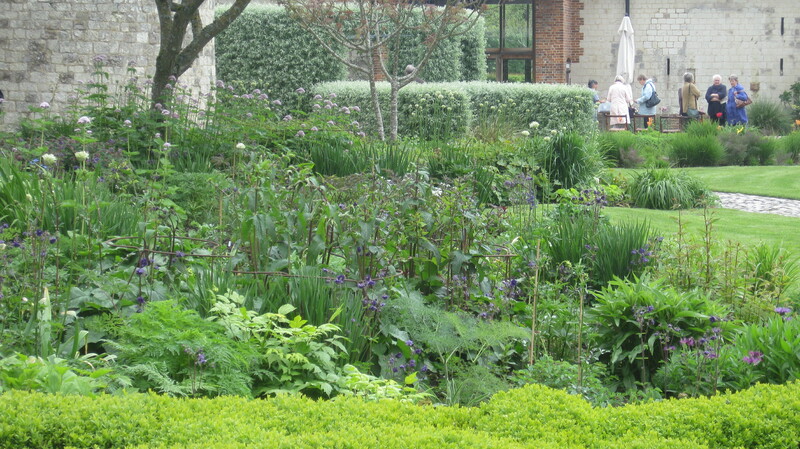 It’s got a courtyard garden by Piet Oudolph and a front garden by Christopher Bradley Hole. 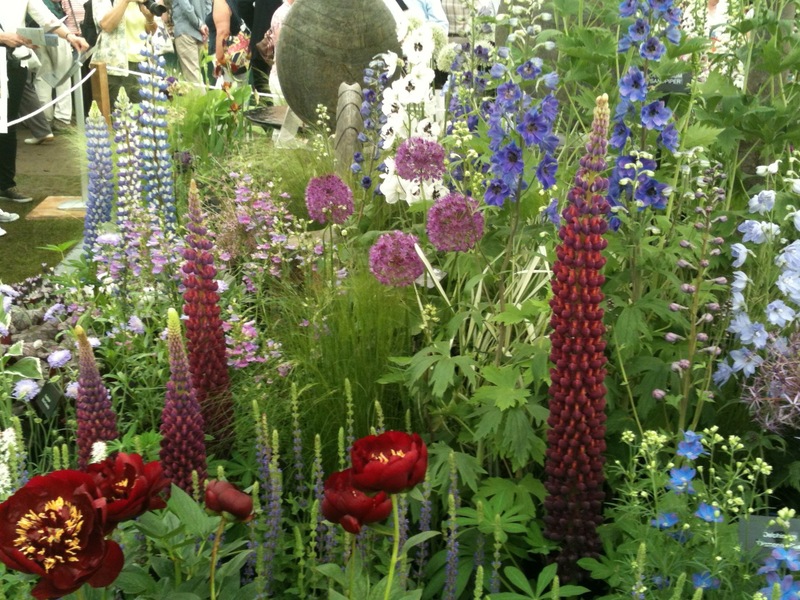 What more need I say…..
Third, the plants. I’m adding these two (even thought I can’t pronounce them!) 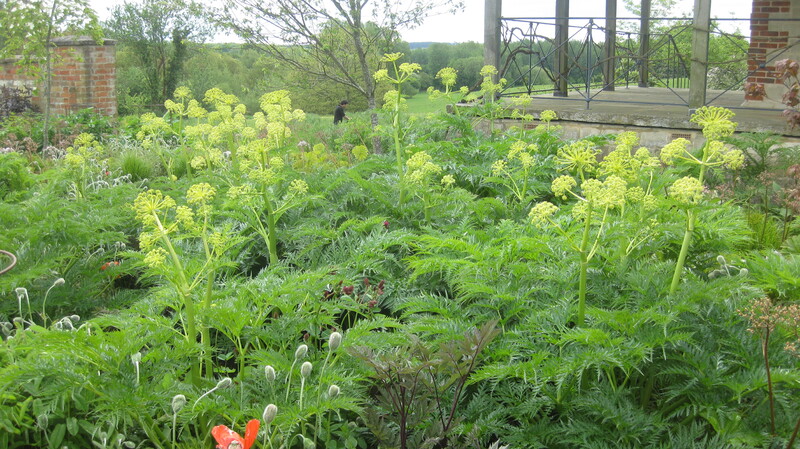 – Valeriana officianilis and Molopospermum peloponnesiacum – to my list of must haves. Fourth, the lunch. Which was delicious. Yesterday was a grey day (again!) and – as Marina pointed out – pastels on their own can look rather flat. 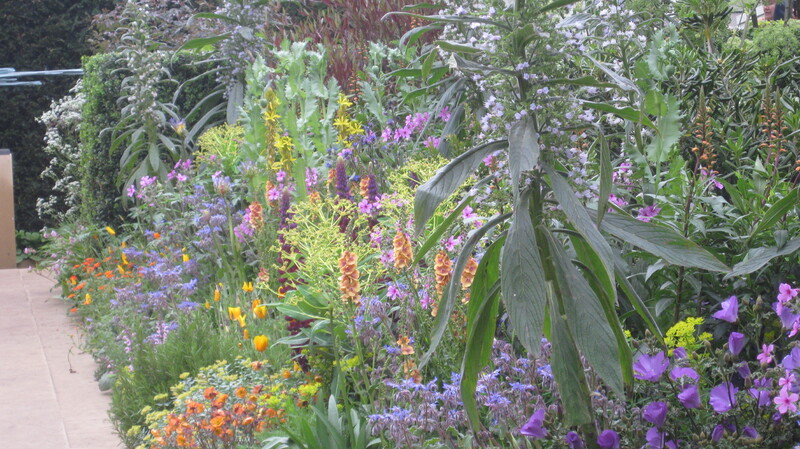 But add a splash of vibrant colour and it all changes…. So I went home and looked at my photos and picked out the ones that demonstrate this new found fact.